Hey, if my Mother in Law says it, it must be true, right? These really are the BEST SUGAR COOKIES EVER. I’m a purist when it comes to my cookies. I like sugar cookies with a heap ton of frosting. 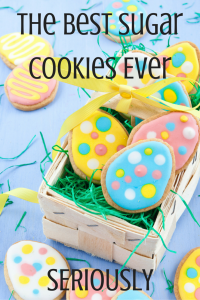 But not just any sugar cookies… because that tube of stuff you get from the refrigerated section of the store and that nasty frosting you get from the baking aisle? NO WAY MAN. If I’m going to eat cookies, they better be… well, better than that. Simple ingredients, nothing weird that I can’t pronounce, and plenty of sugar and butter. And these have PLENTY of both. The cookies are tender and buttery and almost a little bit like shortbread in that they aren’t so sweet that you can’t drown them in a nice royal icing. 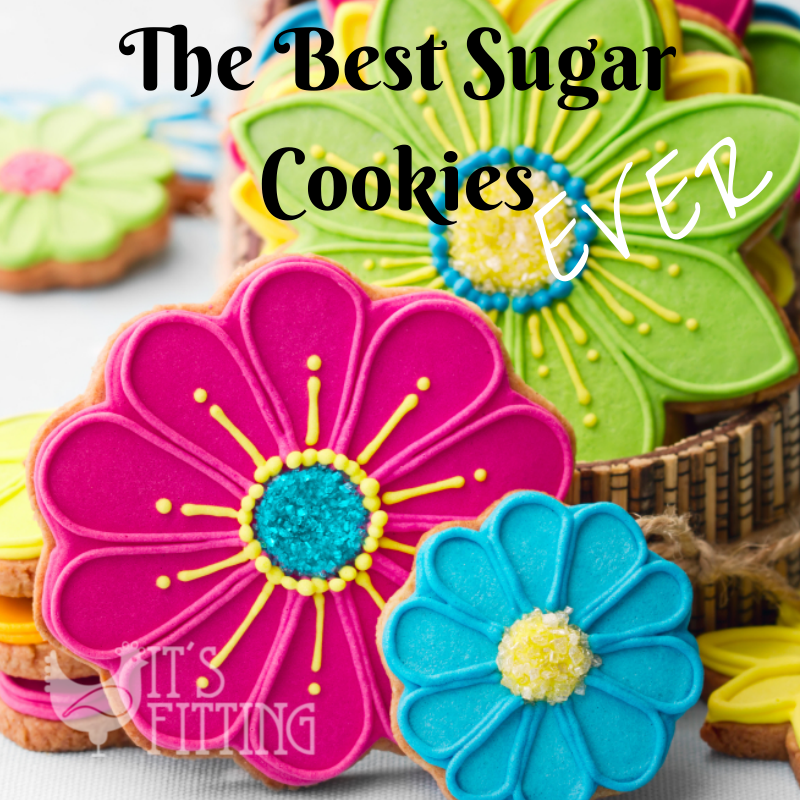 Because a cookie isn’t a cookie until it’s been subjected to a deluge of crazy sweet icing. MMMMM, icing… I must be pregnant still. 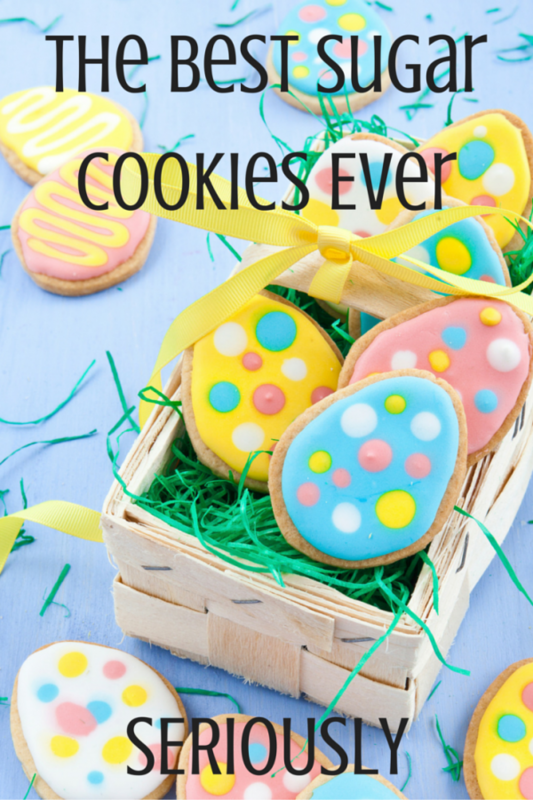 These cookies are great as well because I have used them for a million and one occasions. They are awesome for parties and baby showers, as you can make them thicker and bake them with sticks for lollipop cookies. Or you can make them for the holidays and decorate them any way your heart desires with sprinkles and frosting and candy and whatever. No matter how you top them, they are amazing. And according to my Mother in Law, the best sugar cookies ever. Which makes them AWESOME in my book. Cream the butter and sugar together. Add the eggs and vanilla and mix well. In a separate bowl, mix together your dry ingredients. Add those slowly to the egg mixture and mix well until dough forms up. Don’t over beat! Turn the dough out onto plastic wrap and chill at LEAST 3hours. This step is crucial because with SO much butter in the cookies, they are going to fall apart if too soft. The hazards of baking with butter I guess. Flour a board or counter top LIBERALLY and roll out your cookies. If you are planning on making lollipop or flower cookies, make sure they are at least 1/4 of an inch thick to hold the sticks. If you are just doing holiday cookies, you can roll them out a little bit thinner… but if you like thick cookies? Knock your socks off. Bake at 350 degrees for 8-10 minutes. Keep an eye on them because you want them to JUST start getting golden around the edges, but not completely brown. I let them sit for a minute or two to set up on the hot tray before transferring them to a rack to cool. Decorate however you want!! I use a simple frosting recipe of a heap ton of powdered sugar in my mixer, then adding milk until the frosting is the consistency I’d like. Super technical, right?